It was founded in Singapore but now has offices in nine countries. 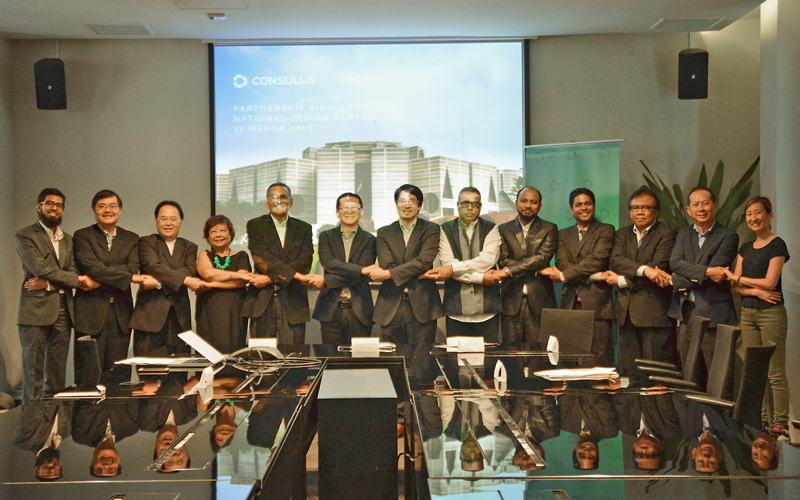 Design consultancy, Consulus, headed by CEO Lawrence Chong, has recently added a partner in Bangladesh. Roop is an integrated and well-established advertising agency. CEO Yusuf Hasan came to the partnership signing ceremony at The National Design Centre in Singapore on March 31st. “For the past 25 years, Roop has created hundreds of logos and brand designs. It’s time to bring our branding experience to the world in a bigger way. I see potential in partnering with Consulus, in sharing their in-depth Asian knowledge in creating the right experiences for our brand,” Hasan said. Chong added that he saw potential in Bangladesh as there were many well-trained professionals and a wealth of cultural and artistic content that had not been harnessed for global branding and innovation. Consulus prides itself on the methodologies of business design it has developed over the years and obviously hopes to use these to help companies and government agencies in Bangladesh. Because of regular natural disasters, examples worker exploitation, ferry mishaps and bloody extremist actions on the streets of Dhaka, the country continues to be underestimated. It actually has a well-educated and tolerant population. Plus a core of savvy marketers with whom Roop and Consulus should find synergy. From left: The signing ceremony in Singapore with Jeffrey Chiu (3rd); Florence Oh (4th); Guest-of-honour Jeffrey Ho, Executive Director of The DesignSingapore Council (6th); Lawrence Chong (7th); Yusuf Hasan (8th); and Rawi Ahmed (11th).